Product code: R810 Categories: Sold Items, Sold Rings. Here is a stunning 18ct white gold diamond engagement ring that looks good from not only the top but even the sides thanks to the way diamonds have been set there. Elegantly designed and made in 18ct white gold, the ring is set with three main round brilliant cut diamonds that total 1.05 carats and are so beautifully set into the top. 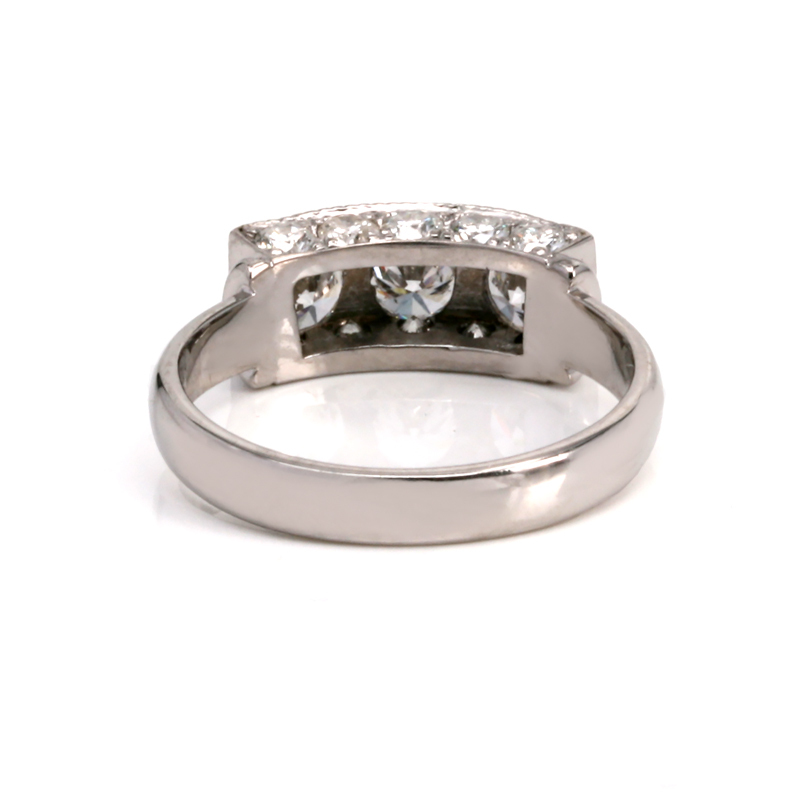 This section measures 14.9mm by 5.9mm wide and sits so well against a wedding band. Then on each side are five more round brilliant cut diamonds with a total weight of these additional diamonds being 0.50 carats. All the diamonds are F to G in colour and VS in clarity meaning that they all are a wonderful white colour and clean diamond that needless to say sparkle magnificently and is sure to dazzle and impress all who see it. 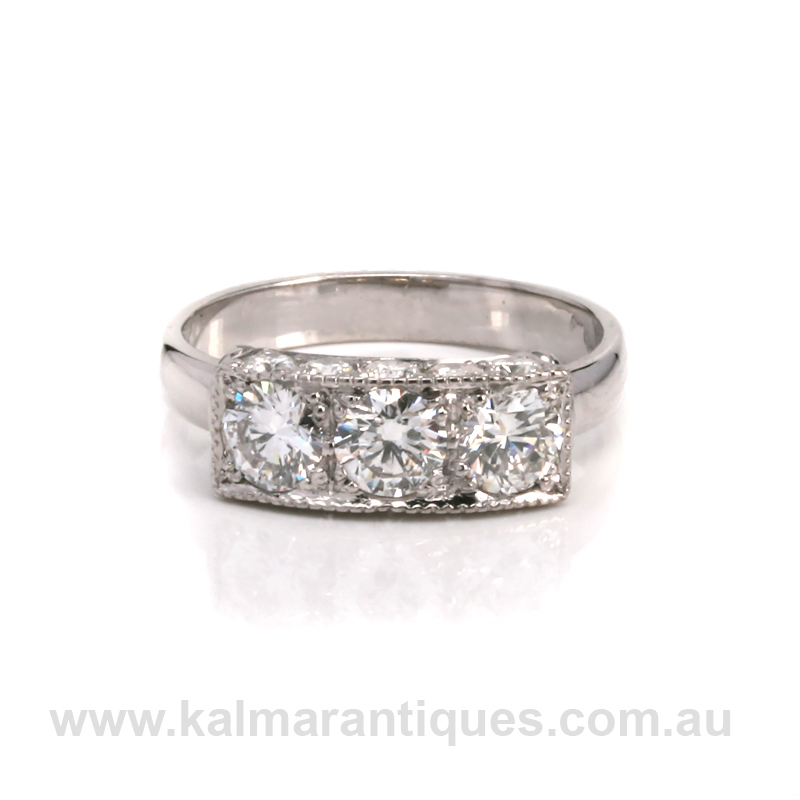 This is such an elegant and refined diamond engagement ring that will always be loved and treasured as the years go by.